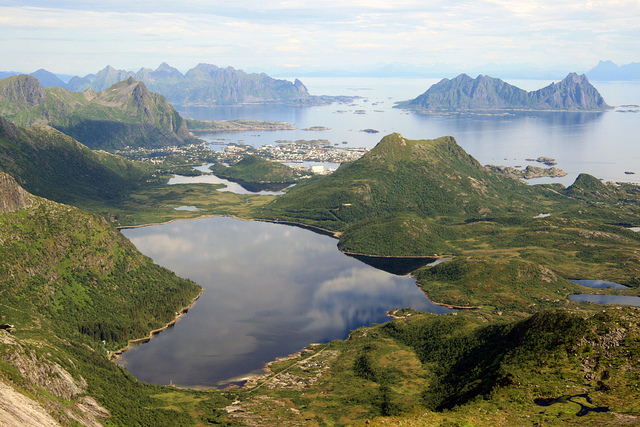 The archipelago of Lofoten in Norway is north of the Arctic Circle. Yet throughout the year it has temperatures which belie its position. This is because of the largest positive temperature anomaly in the world relative to latitude. 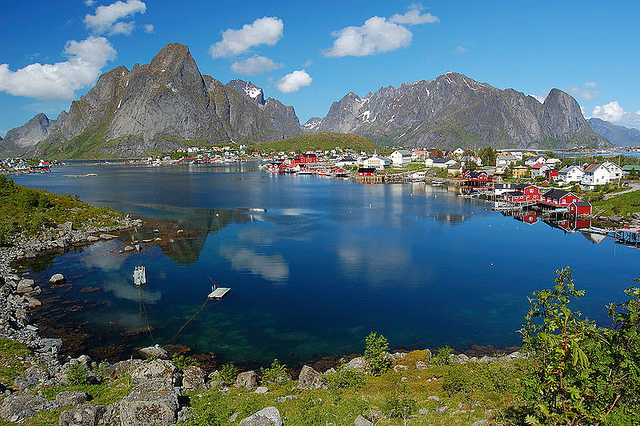 It makes Lofoten an unexpected delight – its early settlers must have thought they had stumbled across an arctic paradise. Prepare to have your breath taken away. What they found there was a sea teeming with life and the largest deep water coral reef in the word. There are literally millions of sea birds with many species represented, such as the sea eagle, the cormorant and the puffin. 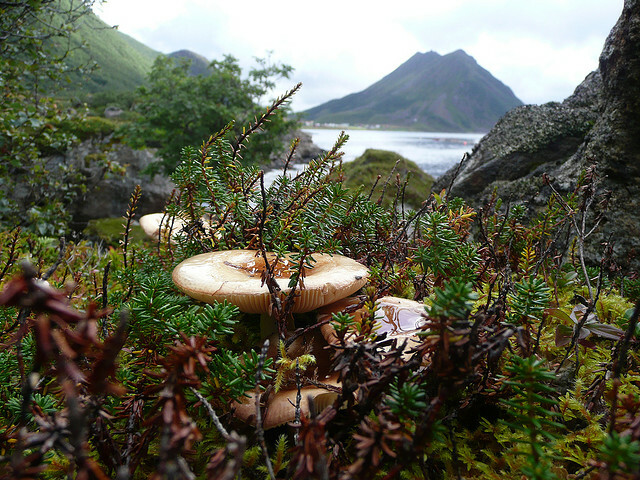 Otter are common in the area and on the larger islands of the archipelago there are moose. 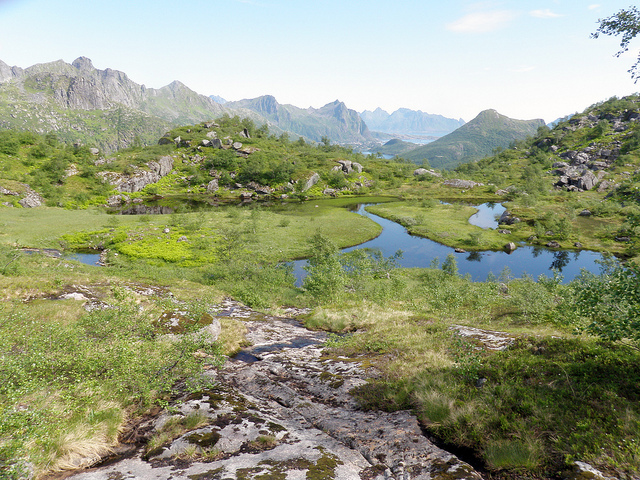 The settlers gave one of the islands (now known as Vestvågøya) the name Lofoten which is Norse for the foot of the lynx. 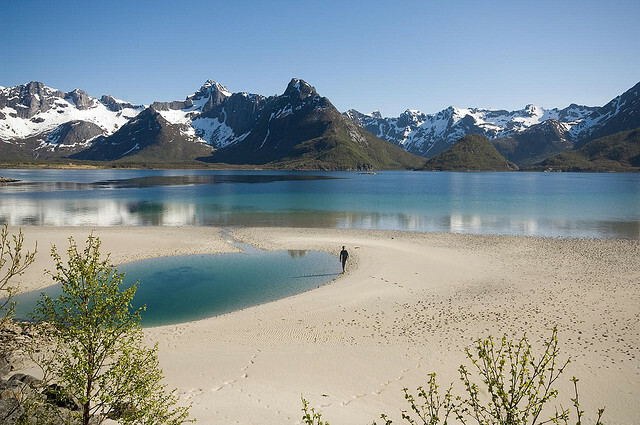 Another island (now Flakstadøya) meant the foot of the wolf and indeed the islands do resemble in their shape the tracks of these animals. 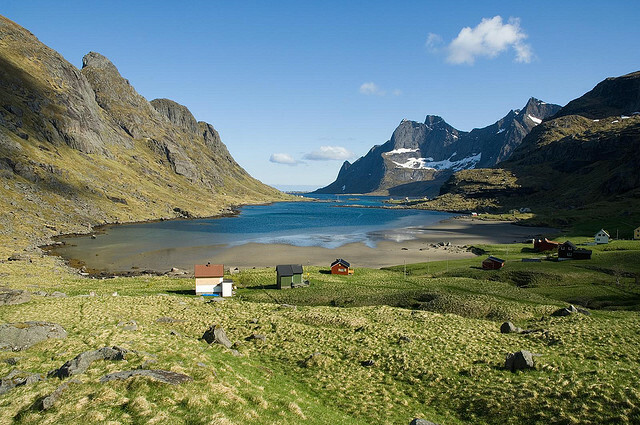 Now, however, the whole archipelago if known as Lofoten and it makes up a district in the Norwegian county of Nordland. 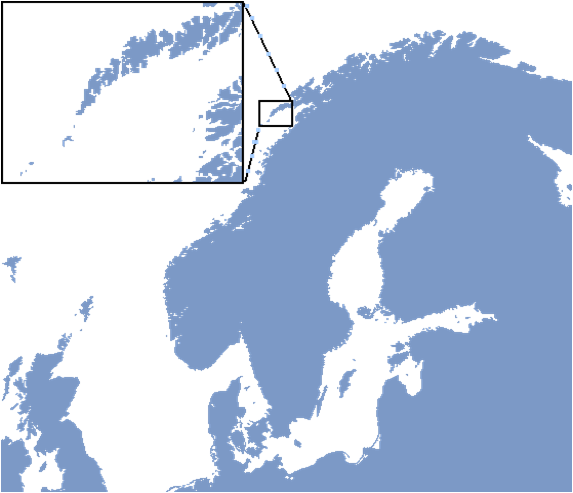 The first settlers must have arrived here centuries before but the archipelago, because of its climate, has been the center of huge cod fisheries for over a millennia. 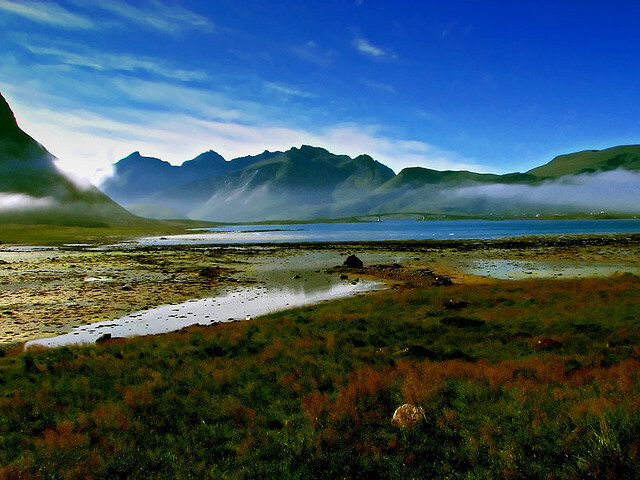 Vågan is the first recorded town in the area of northern Norway and was certainly thriving in Viking times. 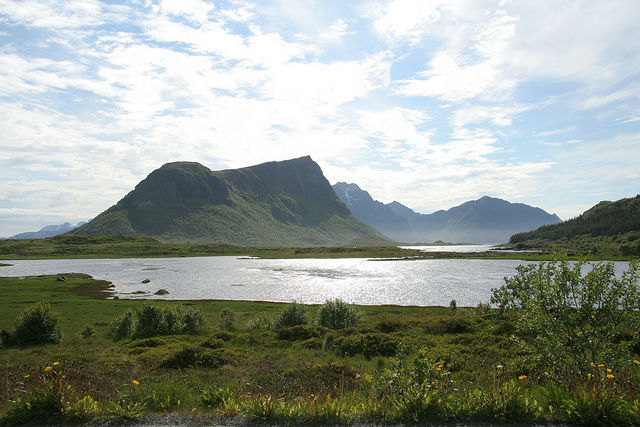 The village of Kabelvåg is close to where it was. People were drawn to the area mostly because of the sea life. 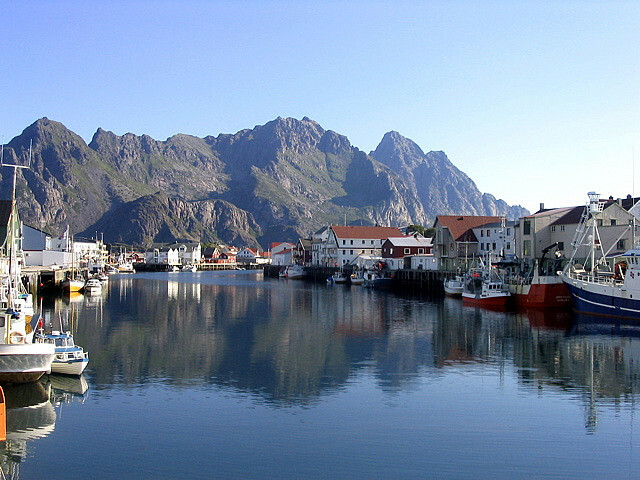 Cod, migrating south from the Barents Sea gather in Lofoten to spawn and the fishing industry has long capitalized on that. 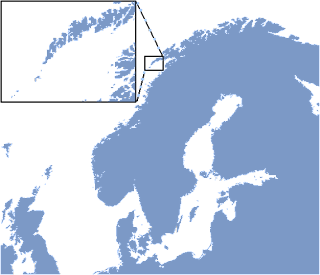 For centuries Norway was the place from which large amounts of cod were exported to most of Northern Europe. 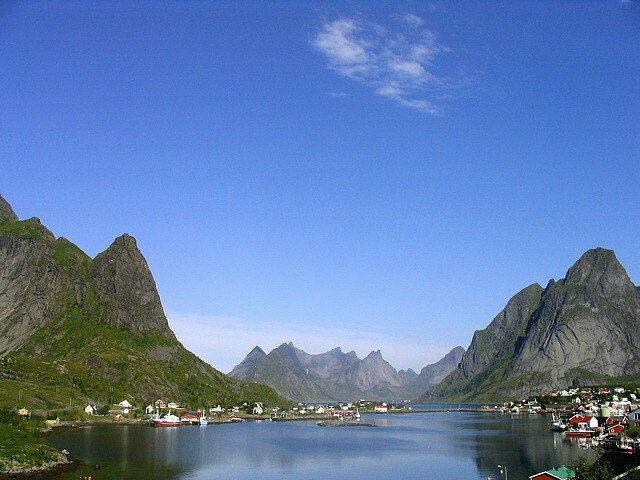 As time went on Lofoten became the name for the whole chain of islands. Its pointed peaks certainly do look like a lynx foot when seen from the mainland. 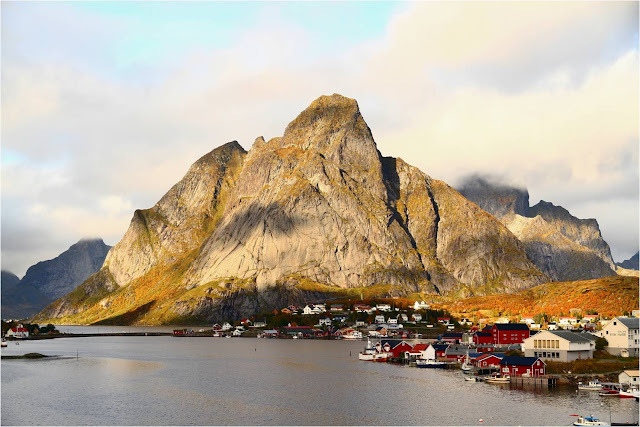 It is sometimes also referred to as Lofotveggen or the Lofoten Wall as, when seen from the highest points on the islands, it does resemble a wall enclosing and sheltering those behind it. 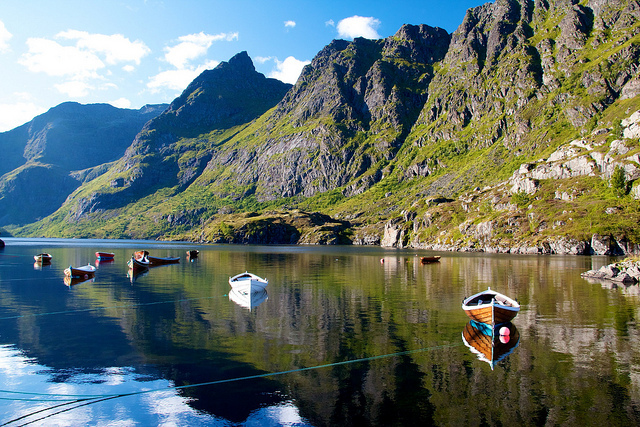 In fact the line up of the islands means that a 1100 meter high wall of mountains and cliffs on the north side of the Vestfjord protect the area. Yet what really creates the anomaly is the Gulf Streams, together with its extensions the Norwegian Current and the North Atlantic Current. 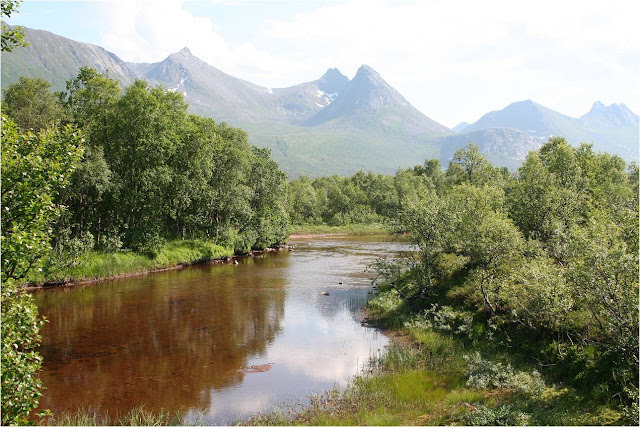 The sight of gently flowing rivers is enough to make you wonder if you are indeed in the arctic cirlce. 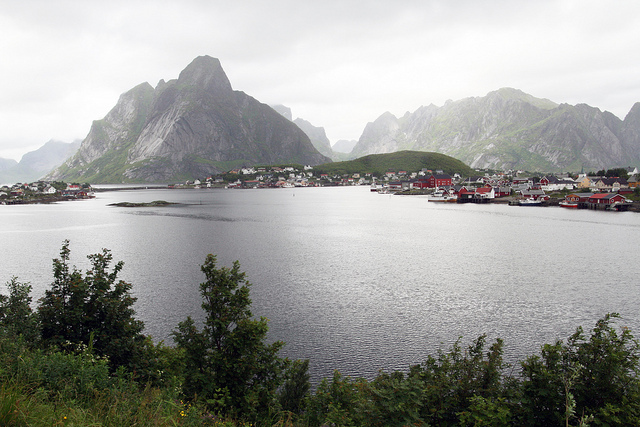 Lofoten is well known in Norway for its outstanding natural beauty but its reputation does not seem to have really become global. 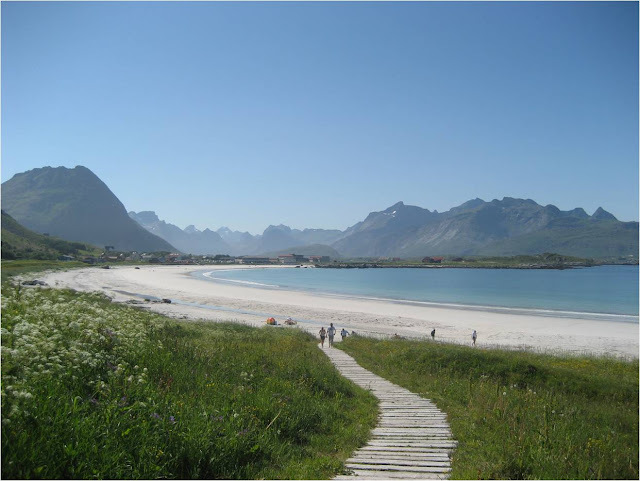 Lofoten has the potential to become a wonderful location for tourism and is as idyllic as Cancun Mexico or Jamaica vacations. 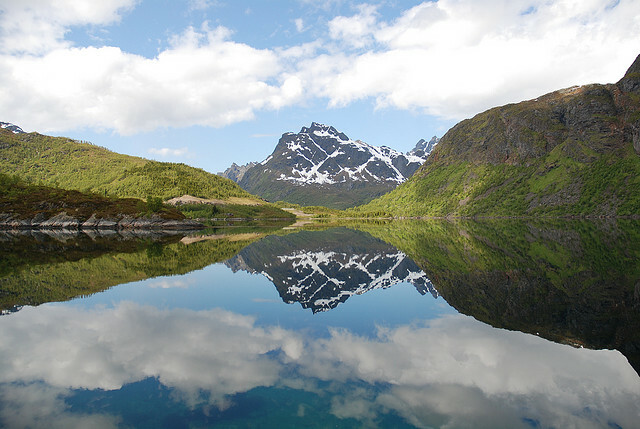 Located at the 68th and 69th parallels north of the Arctic Circle it must surely be one of the most incredibly beautiful natural places on the planet not to mention tranquil. 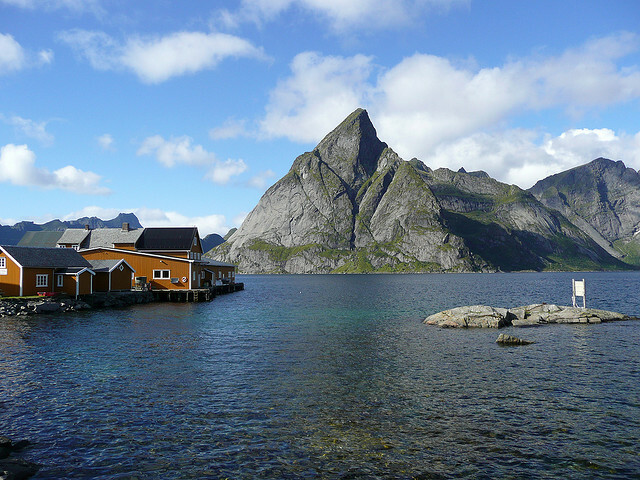 The islands of the archipelago are noted most for their mountains with their elongated peaks which look almost like something out of a fantasy novel. One would hardly be surprised if the inhabitants of the houses turned out to be some hobbit-like race of beings. They are also famous for the stretches of sea shore with sandy beaches which lie on the sheltered inlets. Yet there is danger. 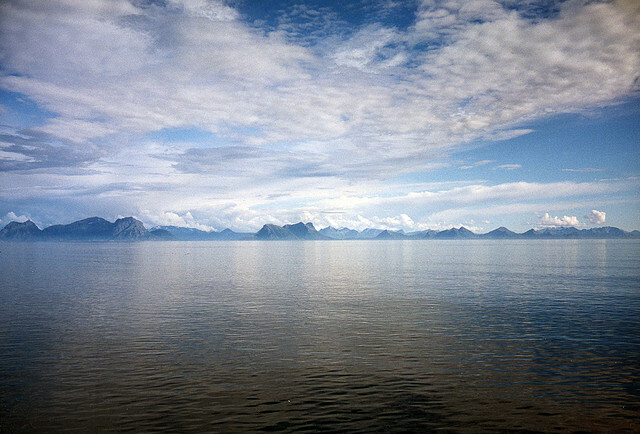 The infamous Malstrøm system of tidal eddies is in western Lofoten. No guesses which word we get from that. 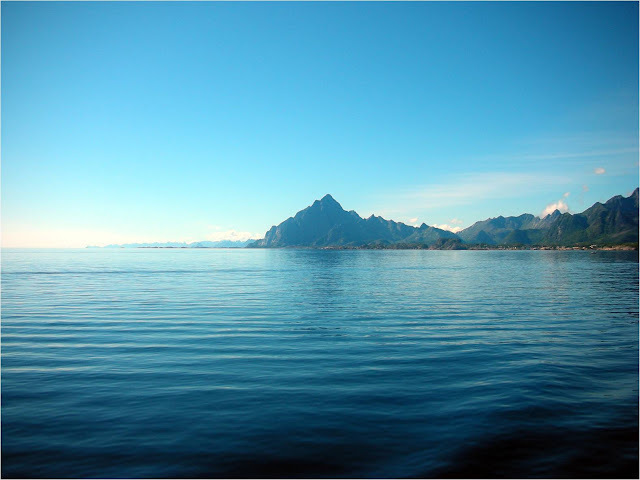 Yet close to the shore of the archipelago the seas are generally calm and clear. 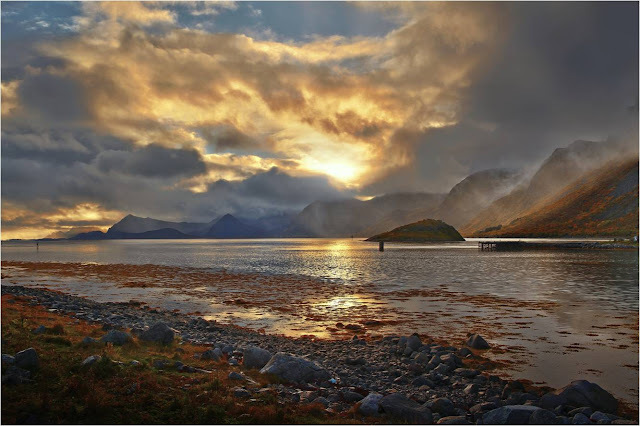 The place is so far north that here you can experience the midnight sun. From May 26 – July 17 the sun in above the horizon for twenty four hours a day. Yet in the winter you must expect no sunlight at all from December 9 to January 4. Neither condition is ideal for human habitation or happiness, so there is a downside to the place. 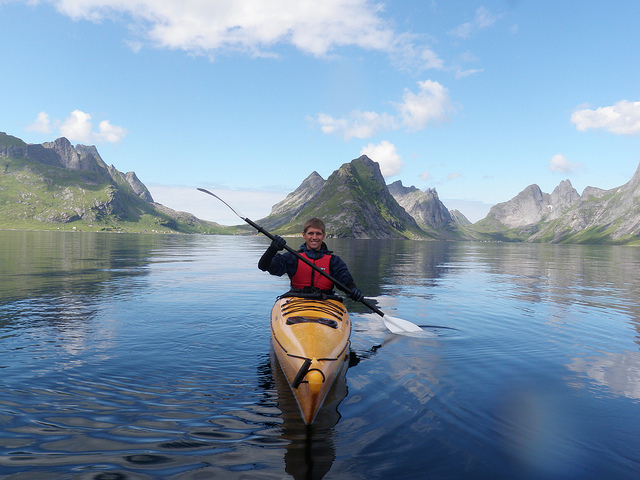 For tourists, however, the midnight sun gives ample and extra opportunities such as climbing and canoeing (or sea kayaking). There are also cycle paths which connect many of the local communities and road traffic is generally light. 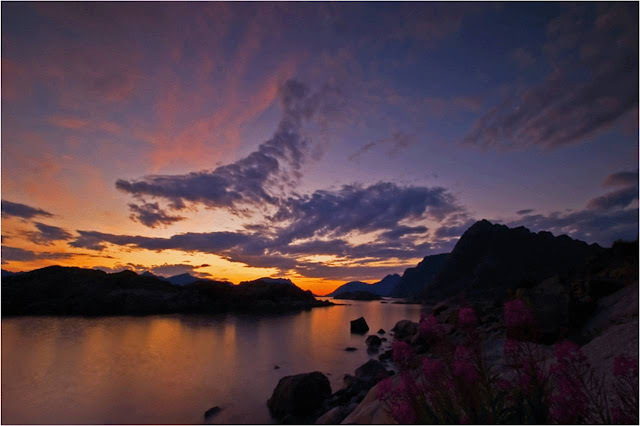 In fact there is an annual Lofoten Insomnia Race for cyclists which takes place along the whole archipelago to take advantage of the midnight sun. 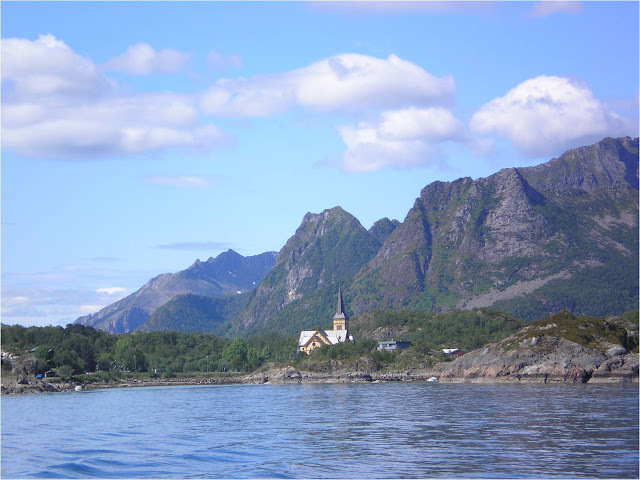 The three local airports each year serve only just over 100 thousand people (locals and tourists included in the figures) meaning that the archipelago is little spoiled by the trappings of tourism. 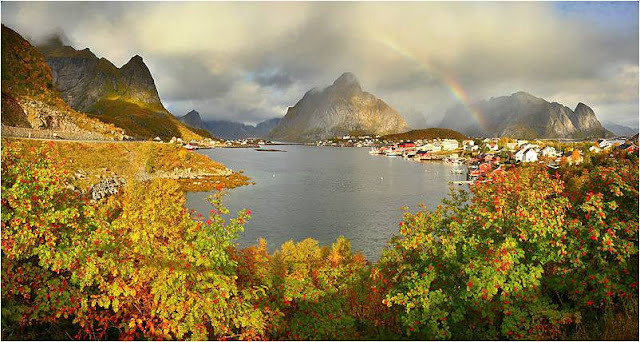 It is little wonder that the place is a UNESCO World Heritage Site or that National Geographic Traveler called the Lofoten archiplegalo the third most appealing islands in the world. 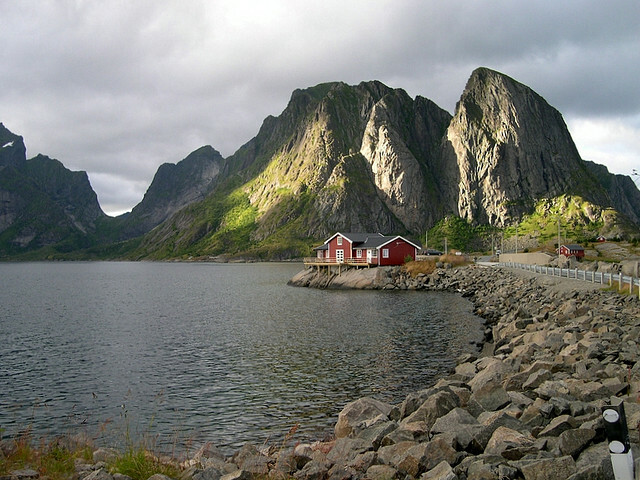 Perhaps the place’s lack of fame outside of Norway is something deliberate. 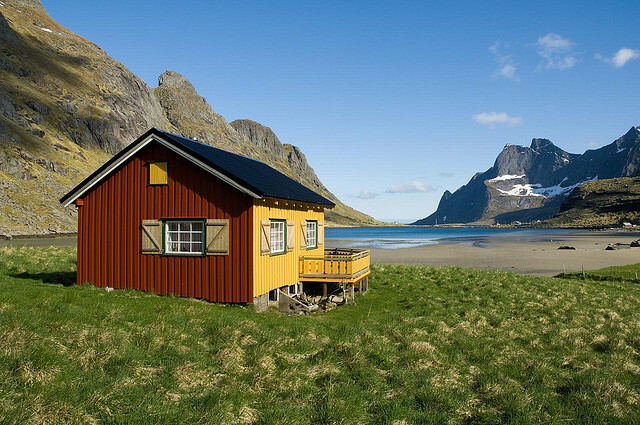 After all, would you want to share this place with the rest of the world?